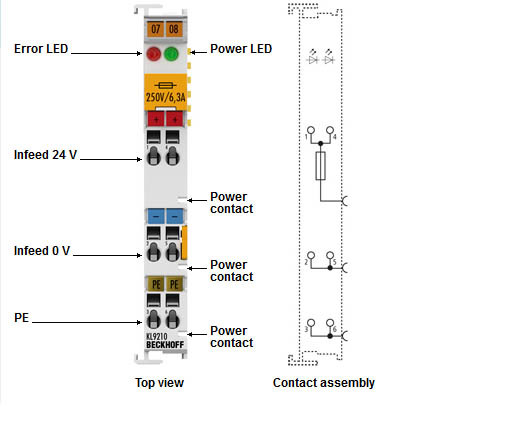 The KL9210 power feed terminal makes it possible to set up various potential groups with the standard voltage of 24 V DC. In order to monitor the supply voltage, the terminal with diagnostics reports the status of the power feed terminal to the Bus Coupler through two input bits. It is thus possible for the controller to check the distributed peripheral voltage over the fieldbus.